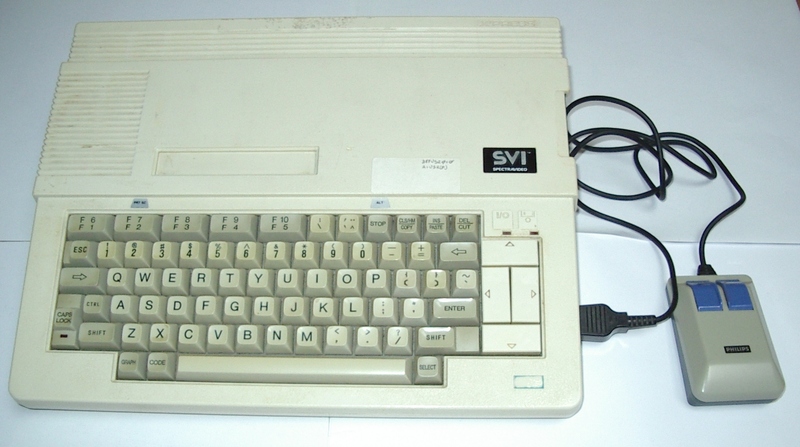 Note The SVI-738 it's equipped with the VDP Yamaha V9938, found in the MSX2 computers, not in the MSX, so the X'Press can ve easily converted into an MSX2. 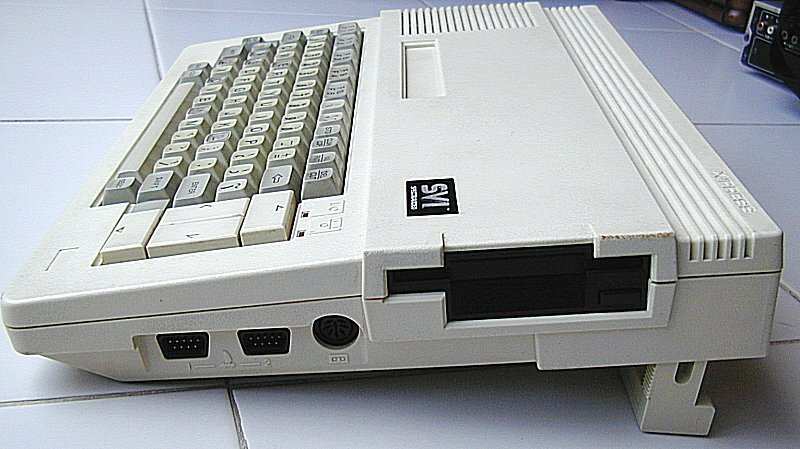 The Spectravideo SVI-738 included a Terminal emulation program in ROM that could be accessed with a call command. 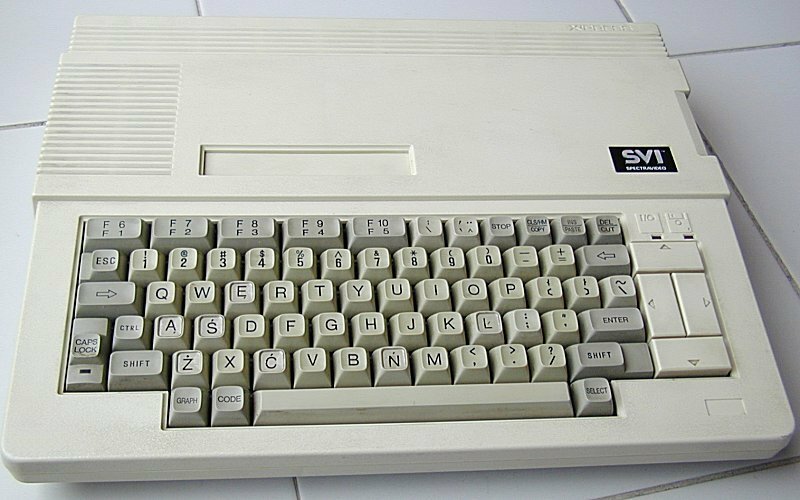 Since the memory management was so slow, a command was included to copy the rom program to ram to prevent line errors. 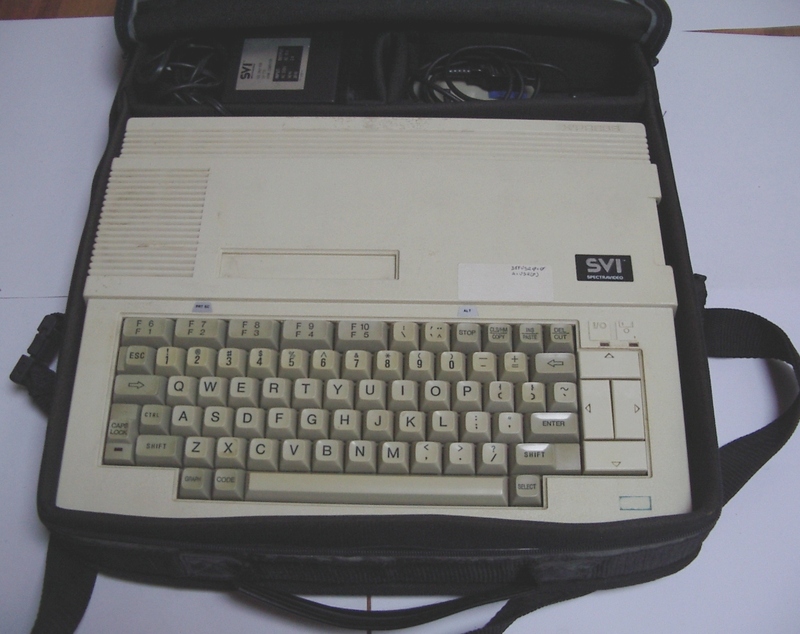 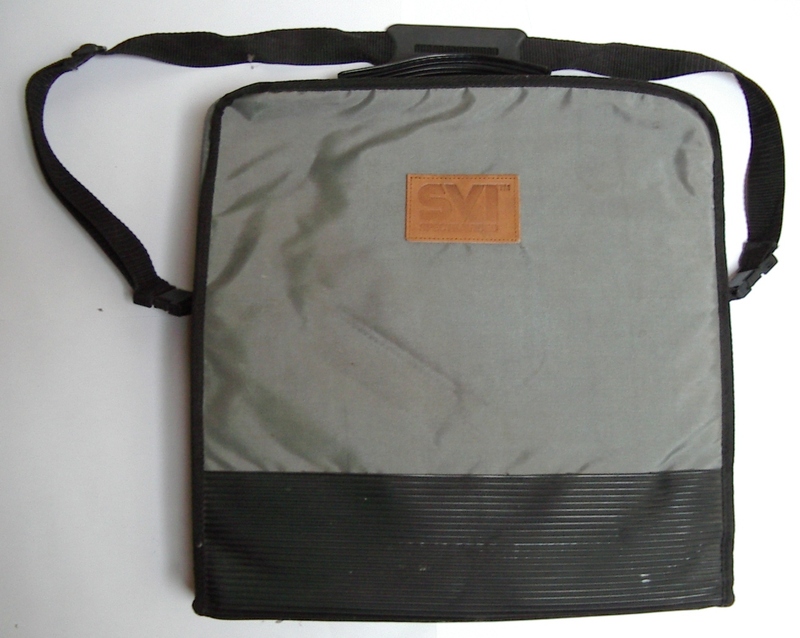 Configurations The SVI-738 (also know as SVI X'Press) is a MSX portable computer, although it has many great features: integrated 3.5" floppy disk drive, Centronics interface, RS-232C interface and 80 column text mode. 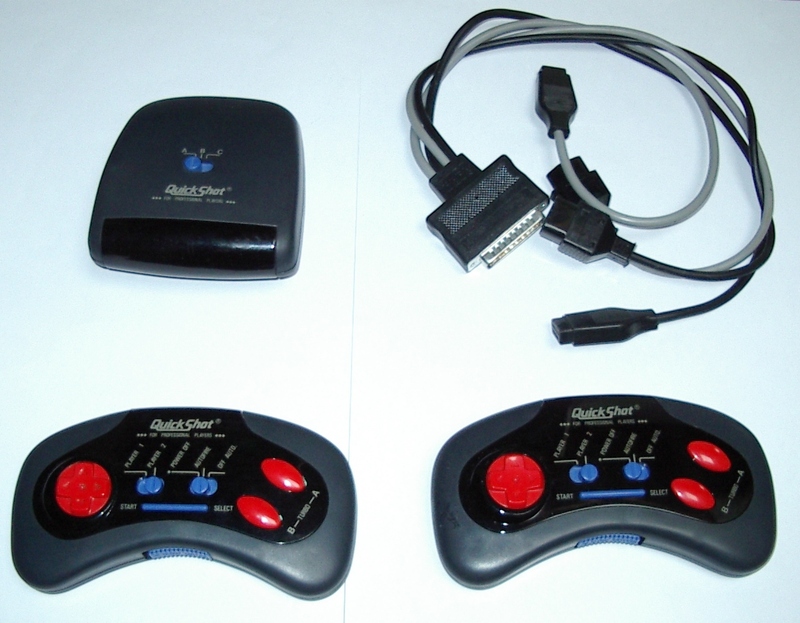 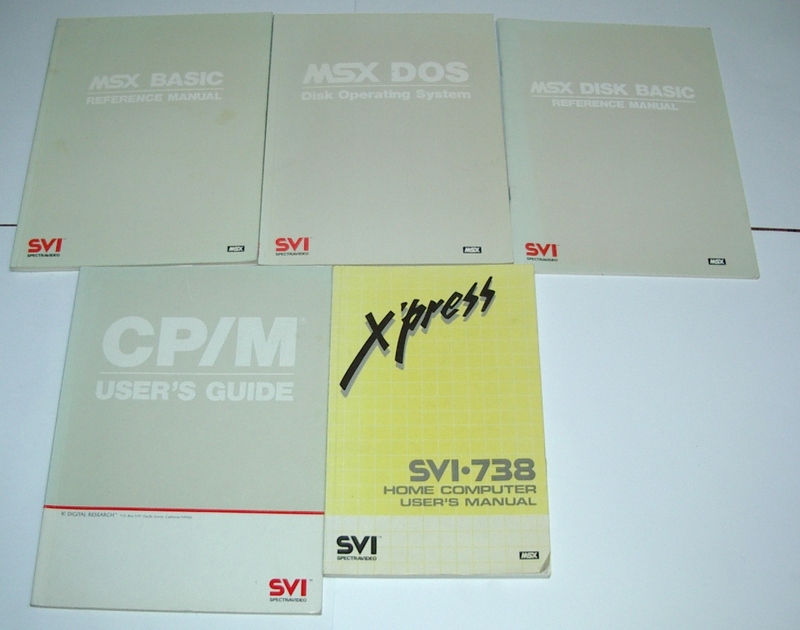 Include disks wiht the MSX-DOS v 1.0 and the CP/M v2.2 operating system.